After my stop at the Eiffel Tower, I meandered over to the Musée d’Orsay. I can definitely say that the Musée d’Orsay is my favorite museum. I LOVED it. I know so many people love the Louvre, but the Musée d’Orsay has such charm! Plus the exhibition they had while I was there was impressionist paintings, which I love!! After I left the Musée d’Orsay, I noticed that I could see the Arc de Triomphe. It seemed like I could walk to it fairly easily. HAHA no. It took me over 40 minutes to get to it. I blame that moment of stupidity on the fact that I was running on very little sleep and had only rested when I checked into my hotel to drop my bag off. 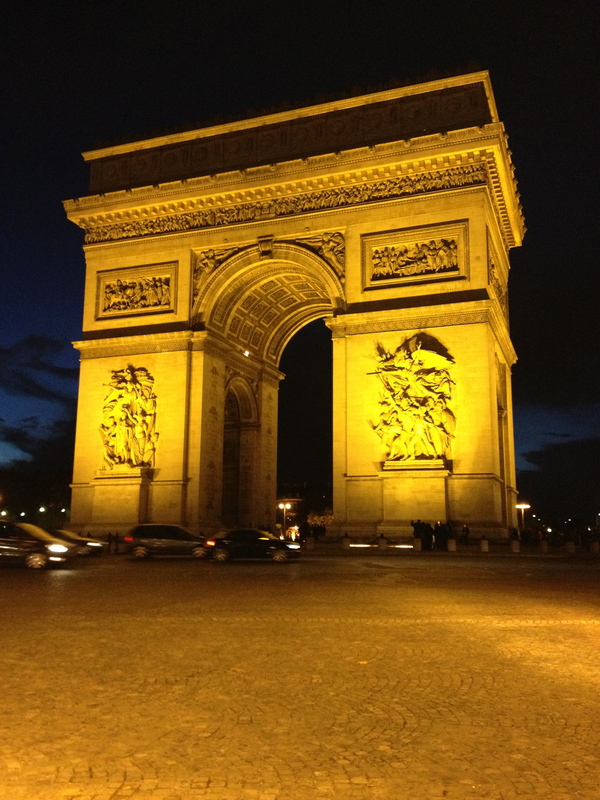 Anyway, I did finally make it down the Champs-Élysées and saw the Arc de Triomphe. I’d say it was most definitely worth the walk and the exhaustion I suffered through. After this, I ate at a café and bought some delicious hot chocolate to warm me up during the walk to the metro. I was pretty much exhausted after this and decided to call it a night. 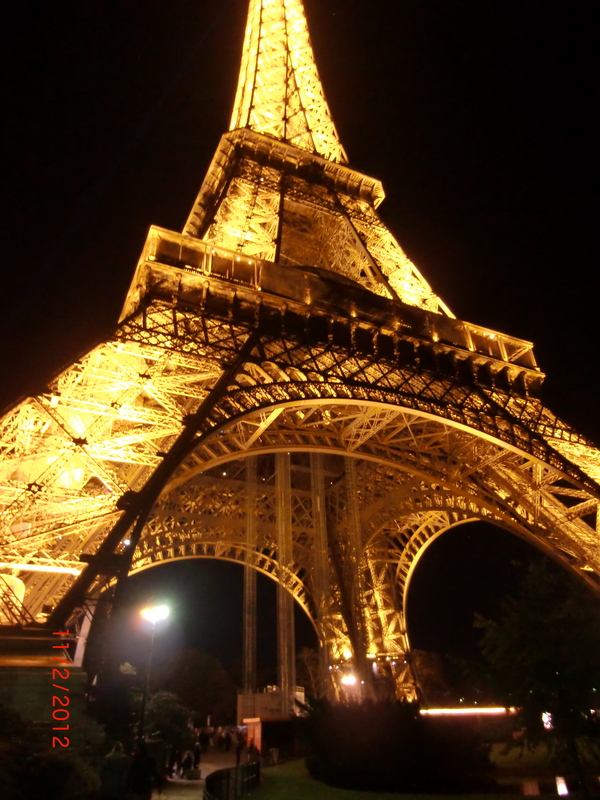 Of course, since my hotel was a 5 minute walk from the Eiffel Tower, I had to go back to see her in all her glory at night. It was raining and extremely windy so I didn’t take a picture. I made up for it the 2nd night though! Day 2 of my Parisian adventure began at 7:30 when I set off to Montmartre. 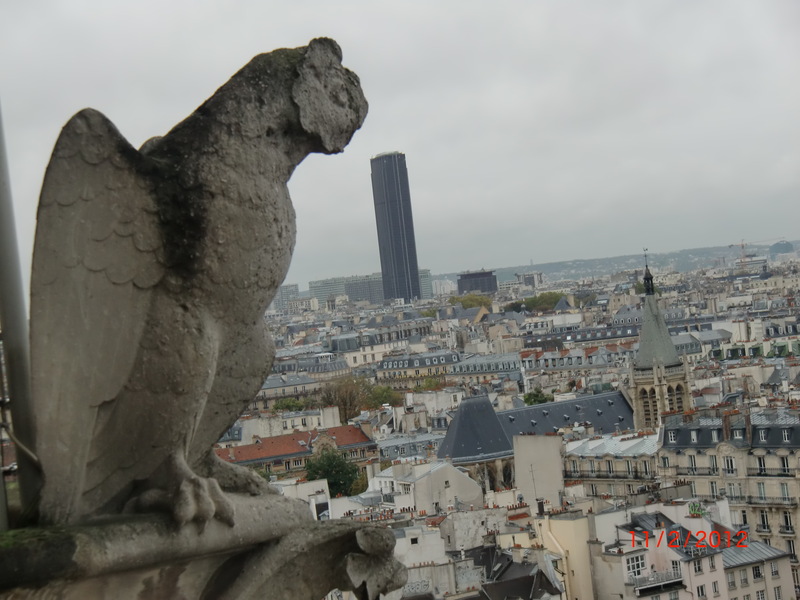 I knew it was going to rain again and I really didn’t want to see the Sacre Coeur in the rain. 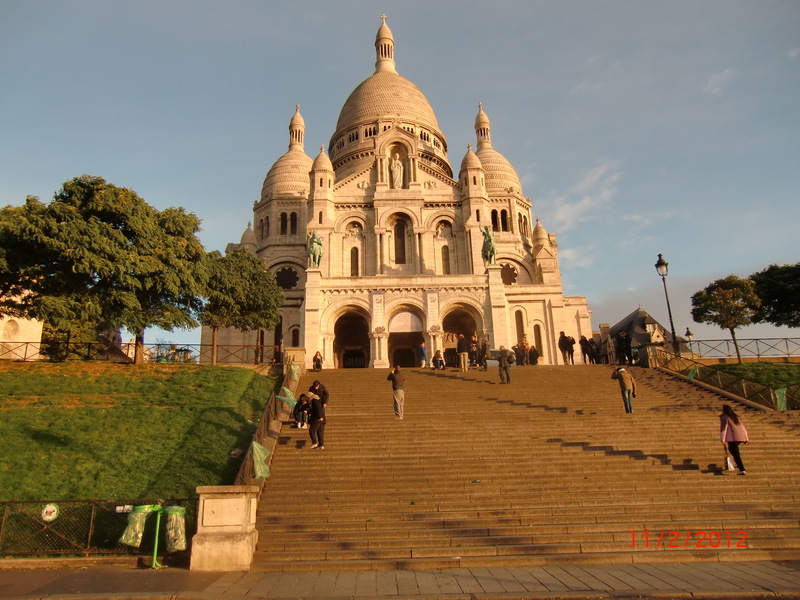 After trekking up over 200 steps (Yes, I counted), I finally made it to the Sacre Coeur! Normally, there is a huge crowd here, but since it was only 8 am, most of the toursits hadn’t arrived yet. Afterwards, I wandered about and bought some delicious macarons and made my way down to the Moulin Rouge. And nearby is the Café des 2 Moulins, which is where Amélie was filmed. Amélie is one of my favorite movies so having my brunch there was a necessity. Once I finished my lunch, I took the metro over to the Notre Dame. 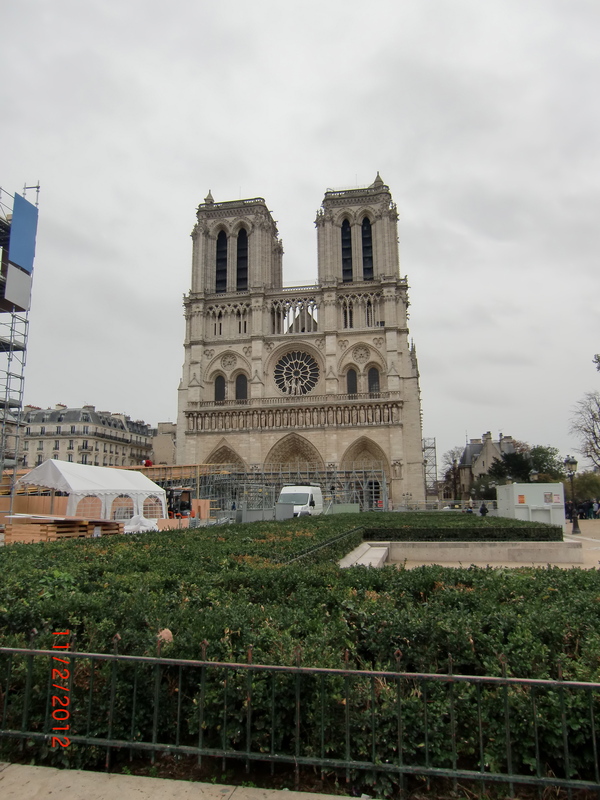 There is a lot of construction going on at the Notre Dame, which I was a little peeved about only because it was obstructing the beautiful view. I was terrified that I wouldn’t be able to get to Point Zero because I knew a girl who went last month and the construction had Point Zero blocked off. 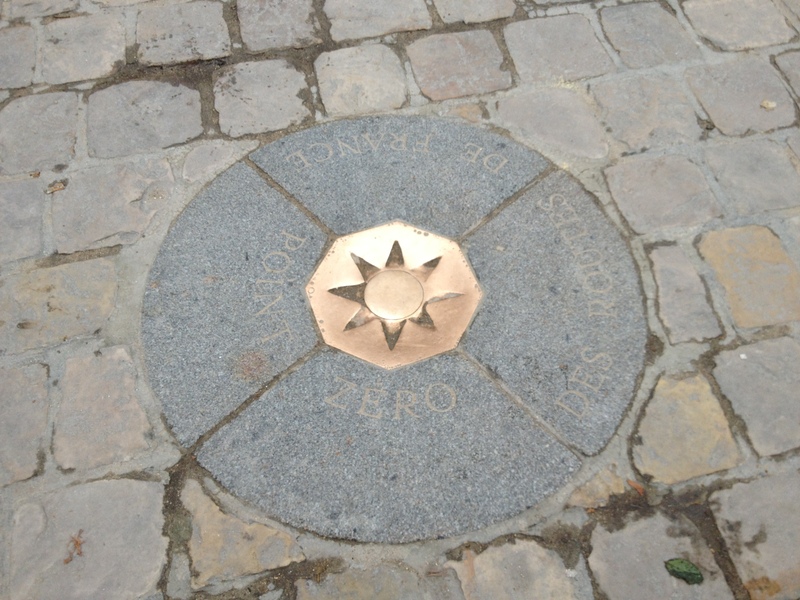 Luck was on my side, though, and as I walked to the front of the Notre Dame, I found Point Zero! 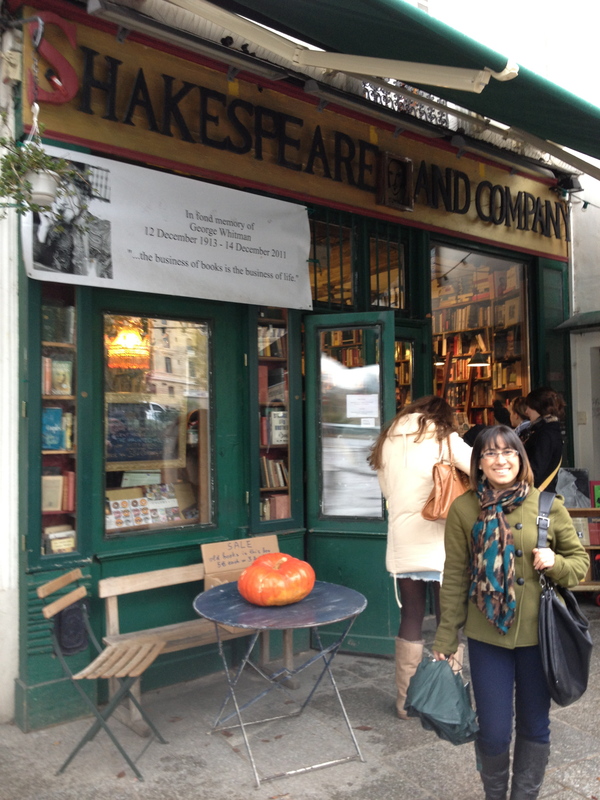 After leaving the Notre Dame, I was determined to find the Shakespeare & Company bookstore. After about 5 minutes or so, I located it! A very nice group of American girls that were studying abroad offered to take my picture, which I greatly appreciated. I went on inside and was so overwhelmed by the amount of books in this tiny place! Everywhere you looked there were books! 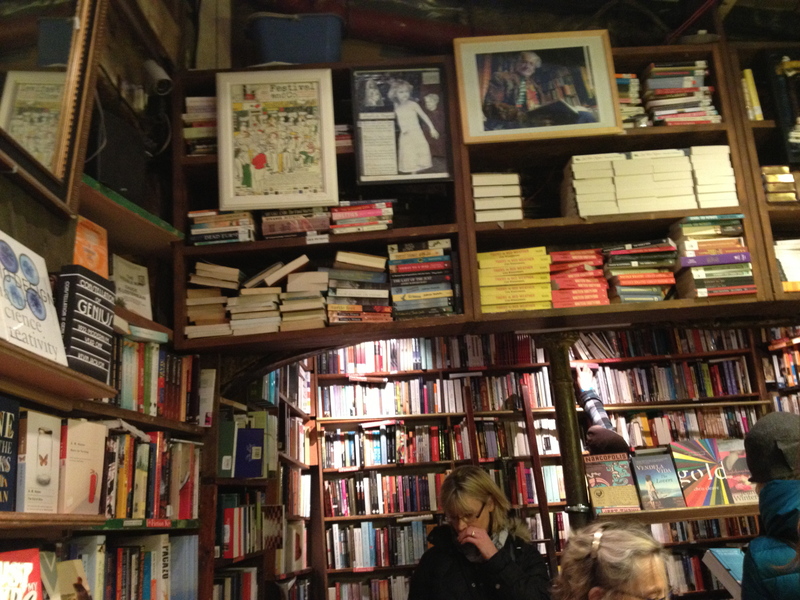 For a bibliophile like me, it was heaven! I happened to see a Pablo Neruda poetry book on one of the tables and had to buy it! 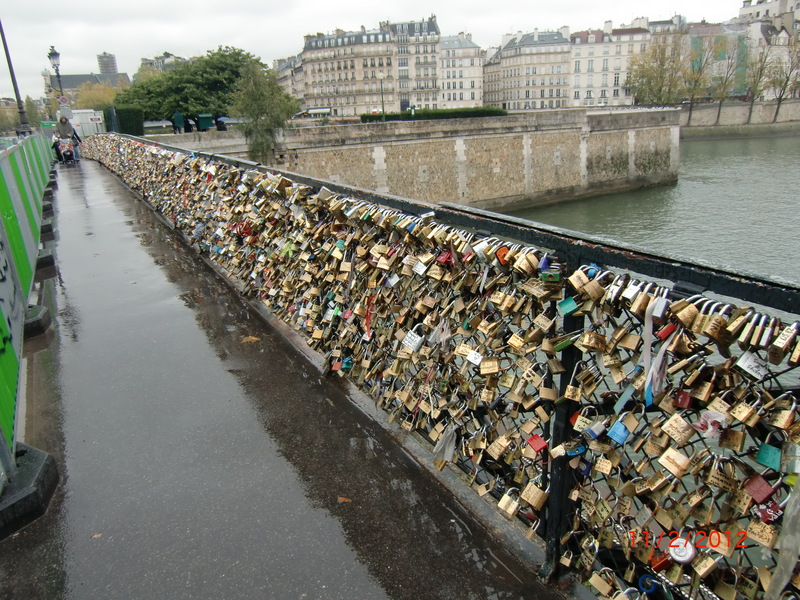 My next stop was the Louvre, but first I had to see the Lover’s Bridge! SO MANY LOCKS! Then it was off to the Louvre! I must say that I’m probably one of the only people who really does not enjoy the Louvre. I found it to be entirely overwhelming. I didn’t care for the Mona Lisa at all. My favorite part of the museum was seeing of the things Napoleon had (like his dining room and bed). After that, I was sufficiently exhausted. I stopped to grab a quick snack at the Starbucks and then made my way back to my hotel. But first, I had to see the Iron Lady one last time. This time I planned to make it exactly 10 minutes before the hour. I wanted to see her sparkle! It was the perfect ending to my Parisian adventure. Previous Sorry for the lack of blogging lately!! Next The BEDA Application Period Has Begun! I want to go to London for our Christmas break. 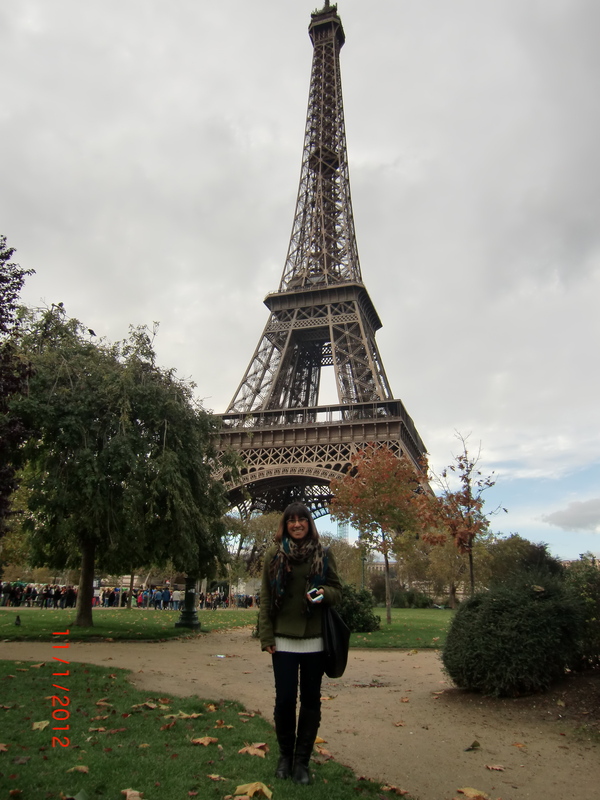 I love Paris and Madrid as well. 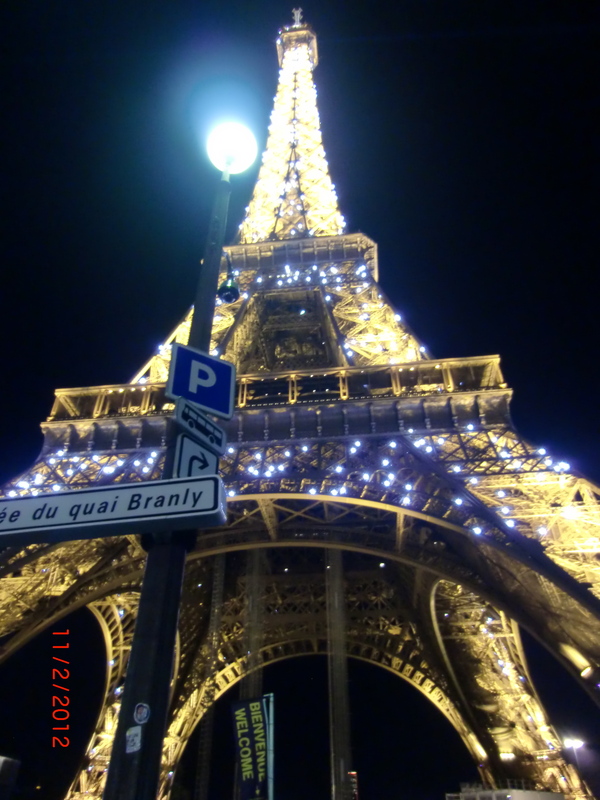 I was in Paris for the New Year and I had a great time. I could def go there again! But since I have been there twice, I want to visit London next time. Maybe we could go together. I have my trip to London already booked for the puente in December. December 6-9th. I’d be more than happy if you wanted to join!! I’d love the company!! I am going to Ireland that weekend. Please post about your trip to London and let me know how it goes. I would like to go over Christmas break and I am currently doing research on where to stay. Do you have a place yet? Any help would be awesome. Thanks!